If you're the type of person who pops a Claritin every morning just to make it through the day without sniffling like a banshee or itching your eyes out, you already know we're in the thick of allergy season. And even if you aren't typically affected by that sort of thing, you may still be finding yourself reaching for a few extra tissues for the next few weeks as plants release pollen like it's their job (which, frankly, it is). However, as is the reality with most bad things, it could always be worse somewhere else. And in this case, allergies are indeed much worse in certain parts of the country. So much so in fact that the Asthma and Allergy Foundation of America has actually compiled a list of the 100 worst cities in the US for allergy sufferers this year. To determine the rankings for 2018, the AAFA considered a variety of factors including the pollen count in a local area, use of allergy medication, and the availability of nearby allergists. 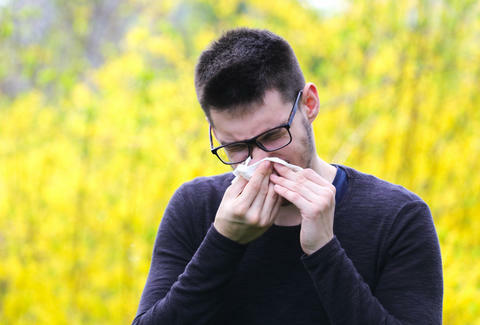 As it turns out, the majority of the 10 most challenging cities for people with allergies are in the South, including the top three on the list: McAllen, Texas; Louisville, Kentucky; and Jackson, Mississippi. If you feel like allergy season has only gotten worse over the years, it's not just in your head. The folks at the AAFA insist that there has indeed been an uptick in pollen lately. “Pollen seasons have gotten stronger and longer over the years because of climate change and this increases allergy rates and reduces quality of life for people with allergies. Until we have policies in place to improve our climate, proper care, management and support are the only ways to control allergies," said Melanie Carver, VP of Community Health and Services at AAFA per a press release. Of course, one way to escape all the eye-watering and sneezing fits besides dosing yourself with meds on the regular would be to skip town for a bit to somewhere with better air. There are some super-cheap flights to be had at the moment after all. Just sayin'.